Make this holiday season extra special with a stylish gift that gives back. Paper Clouds Apparel creates unique T-shirts, sweatshirts and accessories that are expressly designed by talented special needs artists. Half of all proceeds benefit a different special needs cause, with new artists and designs being added every two weeks. AFM chatted with Robert Thornton, the founder of Paper Clouds Apparel, to find out more about the great work they do and how you can even design your own shirt with a unique piece of art to cherish forever. AFM: Please provide us with some background. What is Paper Clouds Apparel, and how did it start? RT: Paper Clouds Apparel is a company that raises funding for special needs causes while showing the world the creative minds and artistic talents of those with special needs. Every two weeks we team up with a different special needs cause, take artwork their members with special needs create and transfer that art to our shirts, bags, and sometimes hats. Then we sell these items and 50% of the proceeds go to the special needs cause. In addition to the 50% we donate, we also hire adults with special needs to fold and package all our shirts. 90% of all adults with special needs are unemployed so I take great pride in being able to create a paycheck for some amazing people. AFM: What types of clothing styles do you offer? RT: We have a wide variety of men’s, women’s, and children’s clothing. We like to make sure all our shirts are on the soft type of clothing you want to wear while keeping them at the lowest price point we can so everyone can help us change the world! Four-year-old Aubrey is battling cancer. 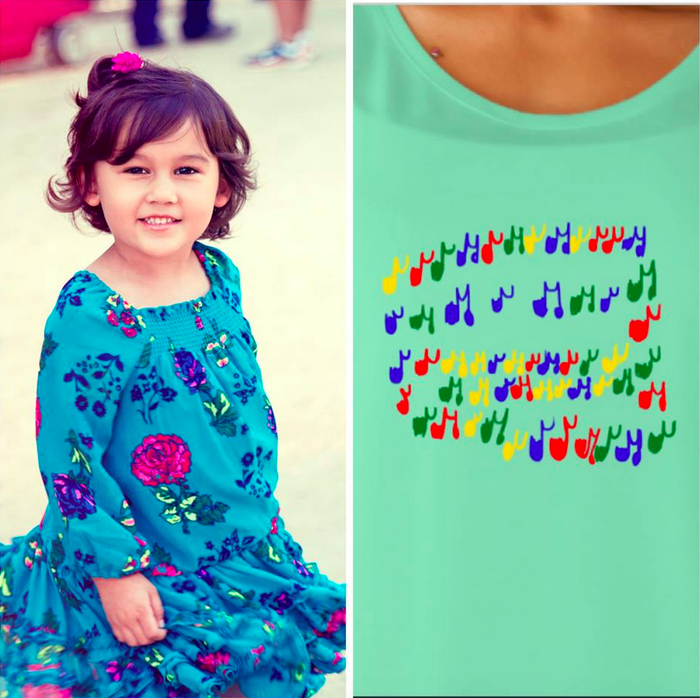 50% of the proceeds from her shirt design will benefit St Baldrick’s to help them find the cure for childhood cancer. AFM: What is the price range? RT: The prices range from $19 for a child’s shirt, to $40 for some adult zip-up hooded sweatshirts. AFM: What is the Shirt Builder? RT: With our shirt builder function on our website, www.papercloudsapparel.com, you can choose the art you like, and then build your shirt. You can choose the style, color and size and then see what your shirt will look like. AFM: How often are artists and causes on rotation? 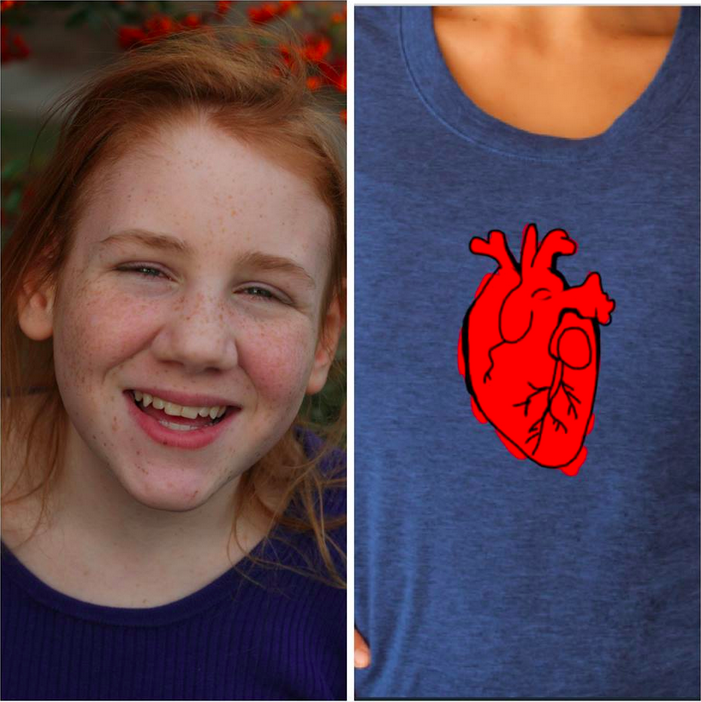 Grace is 12 years old and has created this beautiful Heart design, where 50 % of all proceeds go to St Baldrick’s and their race to cure cancer. AFM: If a potential artist or charity would like to contribute, how can they apply? RT: If any special needs cause or artist is interested we can be reached at papercloudsart@gmail.com and you can also find out great info on our Facebook page at Paper Clouds Apparel. In addition we are starting to do a lot of product giveaways on our Instagram page at papercloudsapparel. So hope to meet a lot of new friends and you can help us make this world a better place for those with special needs. To find out more about Paper Clouds Apparel, please visit www.papercloudsapparel.com.